What is the meaning of those stripy coats? Scientists have debunked a popular theory as to why zebras have stripes! It’s a question that has baffled science for donkey’s years… Why do zebras have stripes? Until recently, it was widely believed that zebras’ black and white stripes kept them cool. The white stripes were thought to absorb less light and therefore be cooler, while the black stripes would absorb more light and heat up. This was thought to create air currents around the zebra that would keep it cool – a useful trick in the hot, African savannah! However, this theory has now been disproven by researchers in Hungary. 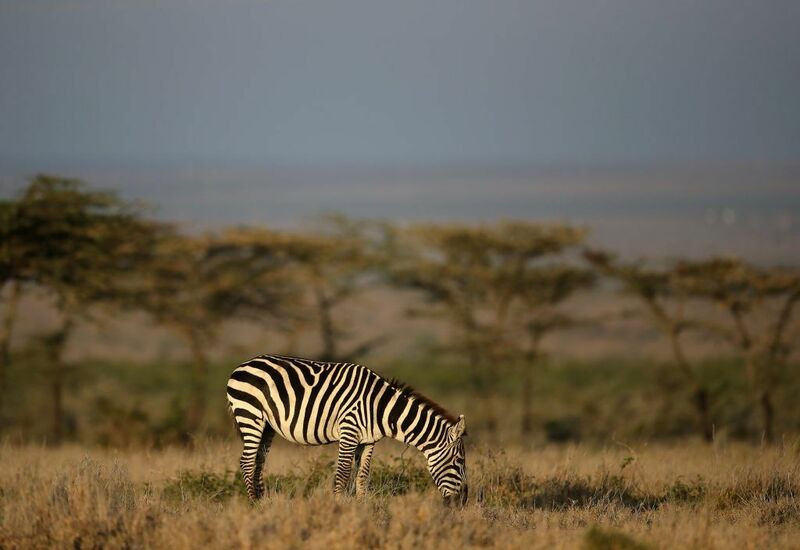 To test the theory, the researchers placed barrels of water covered in different colour materials – black, white, grey and zebra-print – in the hot sun, and monitored the temperatures. To their astonishment, the zebra-print material had an extremely similar temperature to the grey one – proving that the zebra print did not help to lower the temperature. Two main theories still remain; that the contrasting colours help create an optical illusion which confuses predators or that the pattern discourages flies from landing on the zebra. Either way, the mystery still remains — we may never know!